This is my neighbor, Rick. He came to me because he hated not only the way his teeth looked but felt they were getting worse. On top of that, biting into an apple or a sandwich with his front teeth was nearly impossible! We determined the best treatment would be jaw surgery to correct his jaw relationship as well as his underbite. After several months of braces, Rick decided that surgery was not an option. Without surgical correction this case became much more difficult but the overall outcome was excellent! 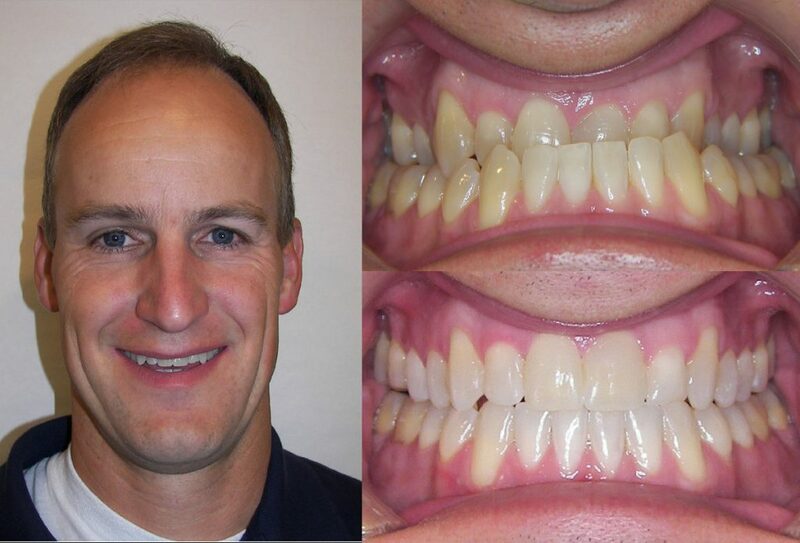 Rick knew he had to be a very dedicated patient to accomplish this without surgery and in just 15 months of braces Rick’s underbite was corrected!